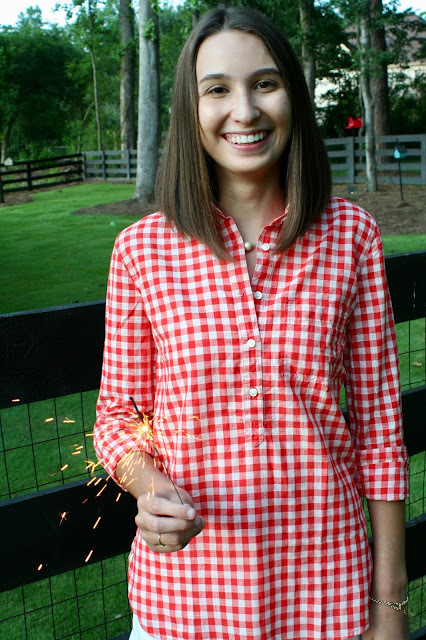 The Fourth of July has always been one of my favorite holidays! 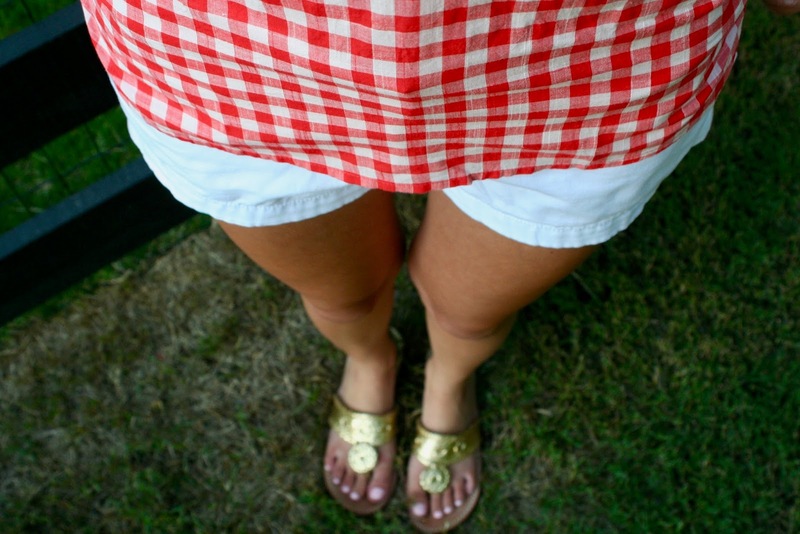 I love dressing up in all my favorite shades of red, white, and blue. With the holiday quickly approaching, I thought it would be fun to share my inspiration for what to wear. 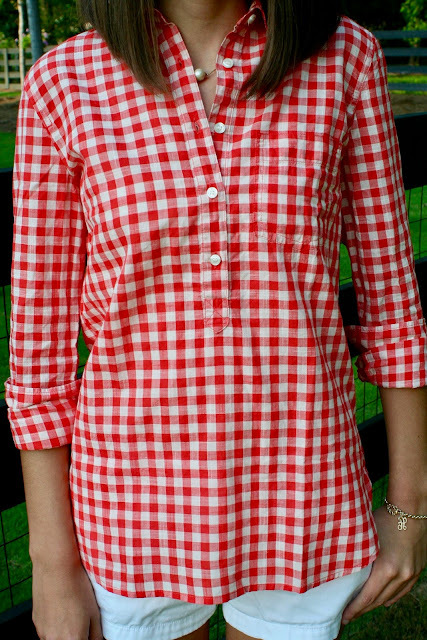 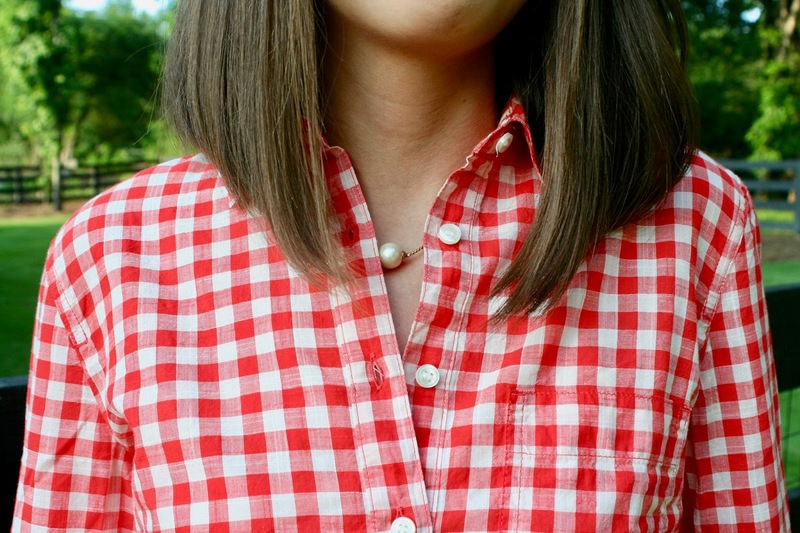 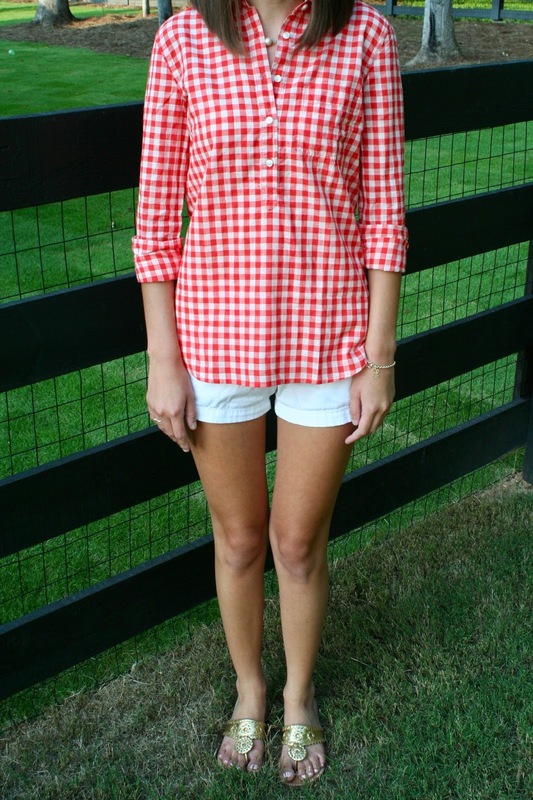 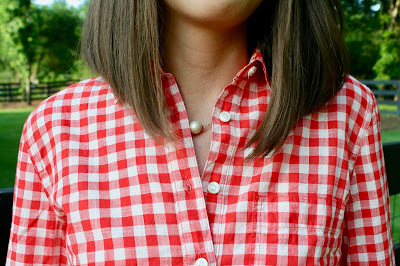 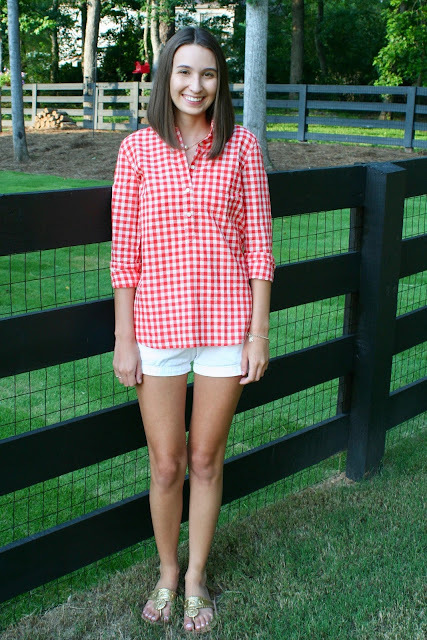 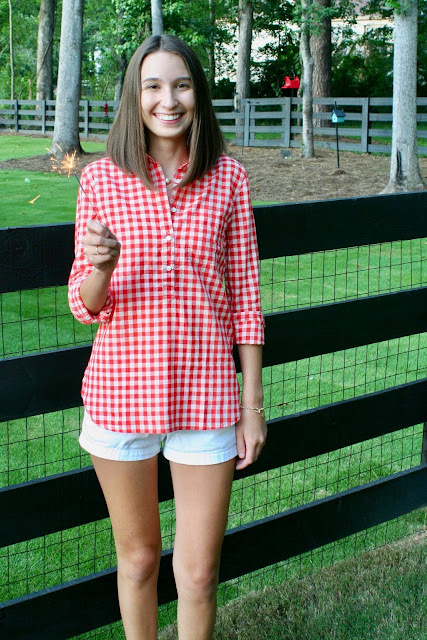 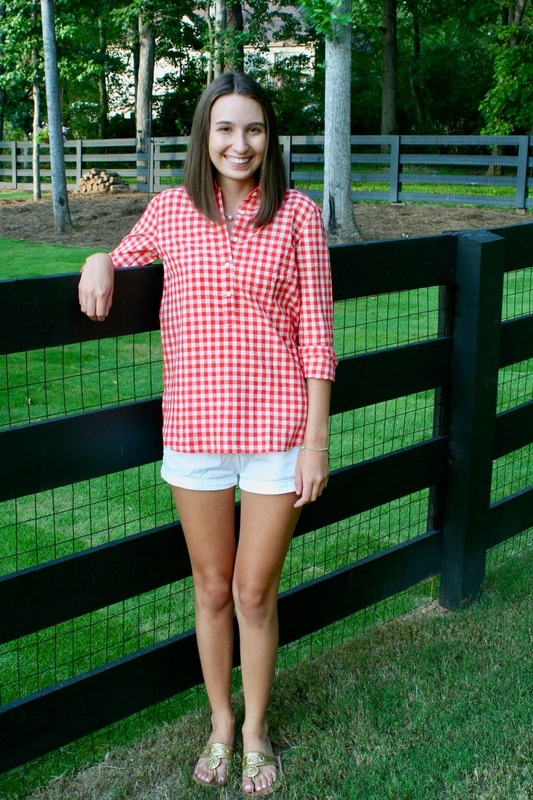 I love this red gingham shirt from J.Crew Factory, plus it is on clearance! Paired with some simple white chino shorts it is the perfect casual Fourth of July outfit. 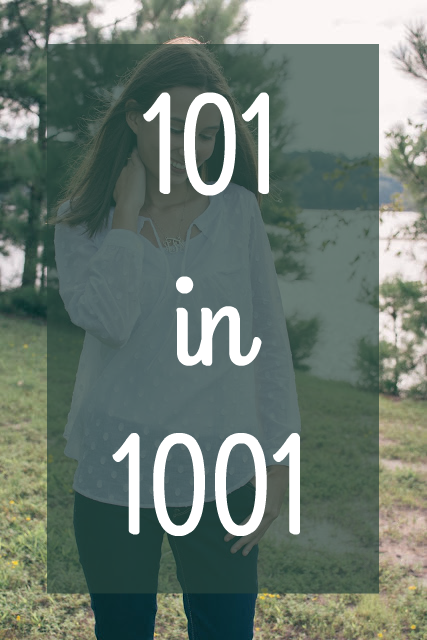 But honestly this shirt will be on repeat all summer long, so this isn't the last you'll see of it. I'll be at the lake this Fourth of July, but would love to hear your plans!